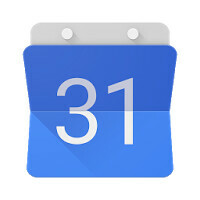 Google's Calendar has been used and loved by many users in recent years – it's simple and intuitive and, of course, follows Google's Material Design to the T. However, for others, it has become a bit of a basic app, especially when it comes to constantly creating or moving events around — there are plenty of 3rd party apps that do this faster, better, and more intuitively than Calendar. This is not such an issue when we are talking set-in schedules and daily routines, but when it comes to flexible tasks that one needs to fit around their more important responsibilities on a daily basis, using Google Calendar becomes more of a down-putting chore. Google has been showing a desire to further improve and streamline the use of its calendar app, however. Most recently, Google has taken a page off the book of the many goal-setting apps out there and has added a brand-new feature to Calendar. You will now be able to add a goal you wish to follow, such as learn a new skill, do your chores regularly, strengthen your relationship with your family, and many others, including custom options, and have the app automatically find free time between your existing tasks and fill it with your brand-new responsibilities. Goal tasks are very flexible and allow you to postpone them with a simple tap of a button, or have them automatically move around when you create higher-priority events in their stead. The new feature can be seen showcased in the video below. The app update hasn't rolled out in all regions yet, but you can download it from APKMirror if you don't wish to wait. Why every brand and TV show nowadays promote homosexuality? Is it to prove something? Lobby pressures? I agree. CW's Arrow made DC comics Mr.Terrific a gay guy. And on Arrow & Flash are multiple gay/lesbians. What's next, a man/woman wanting to hook up with animals & the general population has it shoved down their throats as if is normal. If it was mankind would be extinct like the dinosaurs. A man trying to procreate with a man. I'm speaking in the context of the above video re: Google Calendar. The guy happens to have a crush on another guy. It isn't promoting anything, it's just acknowledging that yeah, gay people exist. There's a world of difference between an illegal act that creates a victim and a normal and perfectly legal act without a victim. Whether or not you agree with it is fine, you're entitled to your opinion, but that's a false equivalency. What has homosexuality got to do with an android app? If instead of talking about the app and what it can do simply to put other stuff in it, ie brands, people, lifestyle etc you promote it. It's literally about 5 seconds of two guys smiling at one another. Would you have mentioned anything at all if at the end of the video it had been a girl he had smiled at for 5 seconds? So then it's pretty much a non-issue, right? No one would have said this video was promoting heterosexuality if it featured heterosexual people. Nothing is being promoted here but Google Calendar. Omg. I just watched the YouTube video on the enhancement of Google Calendar(Very good I might say, will definitely use it). But I'm not homophobic but here it is again "Brad" was possibly dating a woman in the beginning of thr video when he broke up, but at the end of the video he has his eye on a man? God bless the world. Up is down now & left is right. And it's "normal". Could not agree more. Why place this here Just let us know the new features no need to go into sexual preferences. It seem that all these major corporations want to be PC. Why Because of LGBT? if this is so, why not show the Neo Nazi, Klan, NAACP, NOFWP, Young Boys and Men etc. using their Google calender's. We can't except one thing and throw out all the rest. Remember we are all to be tolerant because there are no rights or wrongs no absolutes ( really?-absolutely-lol ) whatever make me feel good and happy I can do.